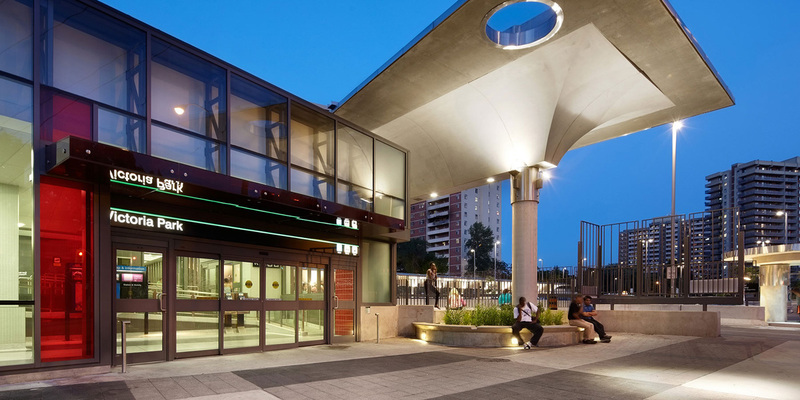 The Federation of Canadian Municipalities has honoured the Toronto Transit Commission’s Victoria Park Bus Terminal Replacement and Transit Plaza with a Sustainable Communities Award. 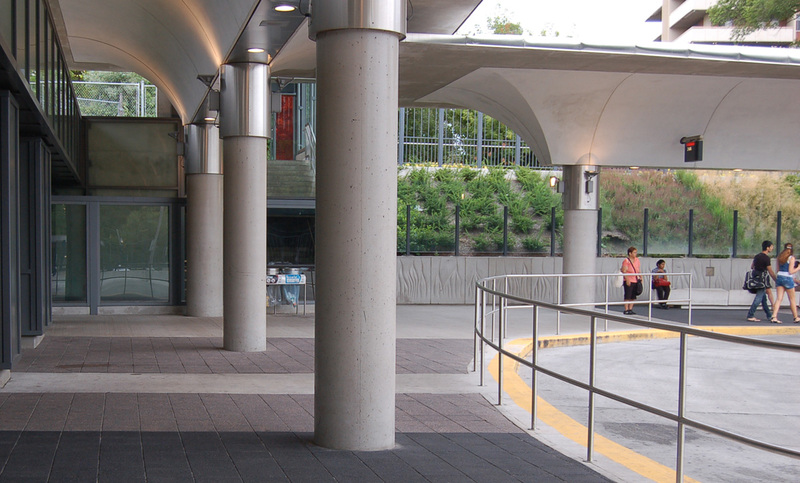 The project, lead by Stevens Group Architects, replaced a former elevated bus loop with a more accessible terminal located at grade alongside the station, and leveraged this work to achieve accessibility and design improvements throughout the subway station and its connections to street and neighbourhood. 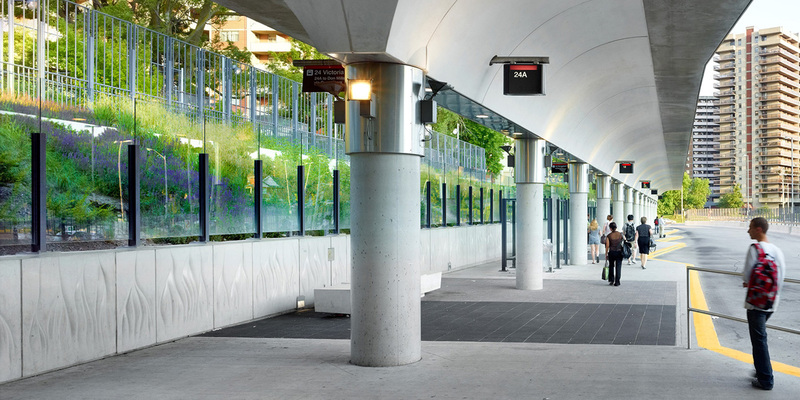 The subway station retrofit included a new green roof, windows and public art added to the subway platforms, and enhancements to the walkways that connect the station to the Crescent Town development to the west and Teesdale and Albion Avenue to the east. Brown+Storey Architects were the project’s urban designers, providing key details and an innovative approach that carried accessibility improvements from within the new bus terminal out to both sides of Victoria Park Avenue where sidewalks were added or broadened and seating and small public plazas created to give residents safe places to wait streetside. 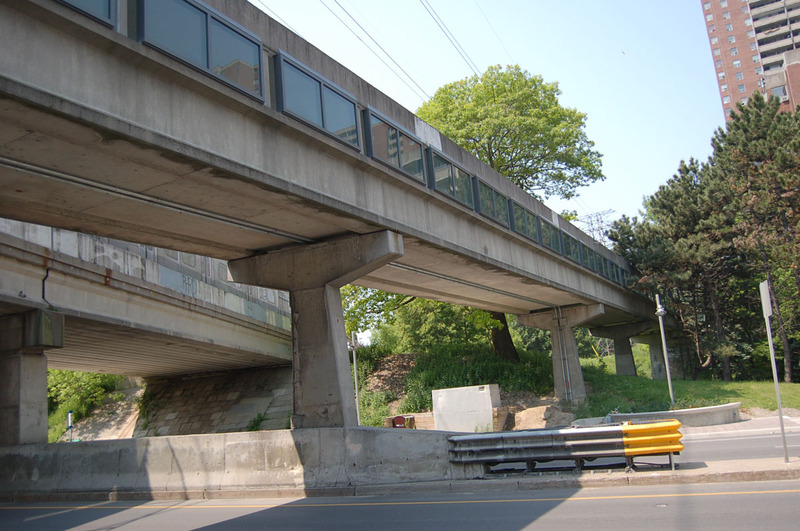 The Victoria Park retrofit built on a previous visioning study conducted by Richard Stevens Architect, B+SA and Earth Tech Canada looking at retrofit and redevelopment options for both Victoria Park and Warden subway stations. B+SA continue to be active in working with the local councilor and others towards further improvements to the pedestrian environment and open space connections at Victoria Park. The firm also looks forward to the restart of efforts to renew Warden station and its environs. 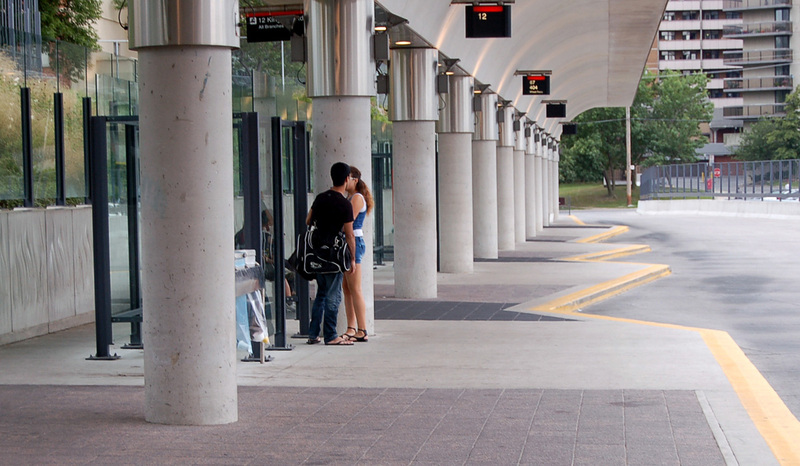 The new bus terminal at Victoria Park offers a welcoming environment for riders. Image courtesy TTC. The station now meets Victoria Park Avenue as a public transit plaza. Image courtesy TTC. 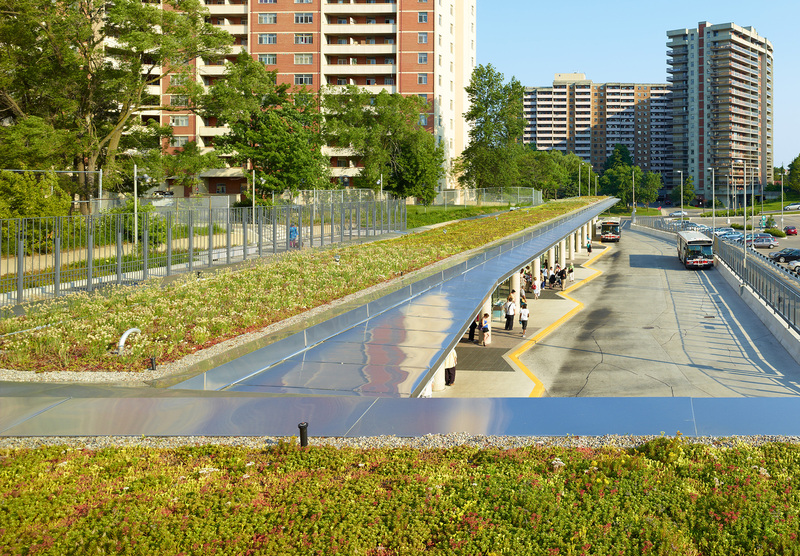 The station was the first transit structure in Toronto outfitted with a green roof, a move BROWN+STOREY introduced in feasibility studies for the project. Image courtesy TTC. The new terminal benefits from robust seating and views to an adjacent planted slope. 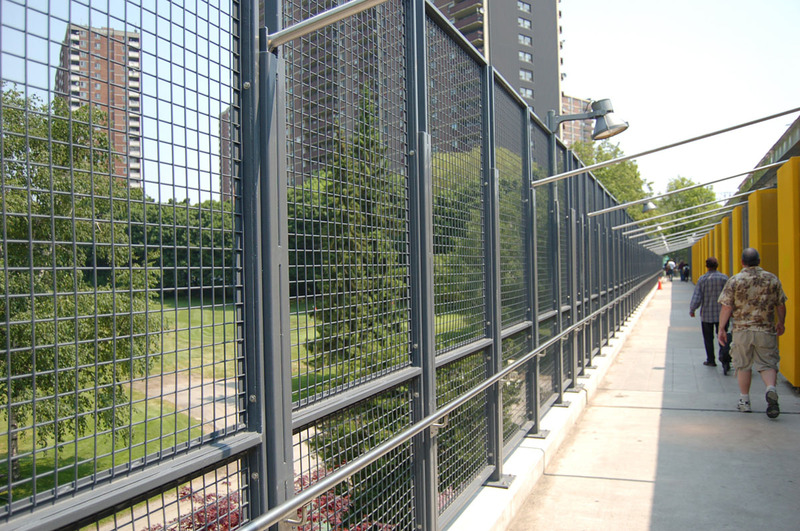 This at-grade perimeter platform represents a substantial upgrade over Victoria Park’s original elevated bus bays. 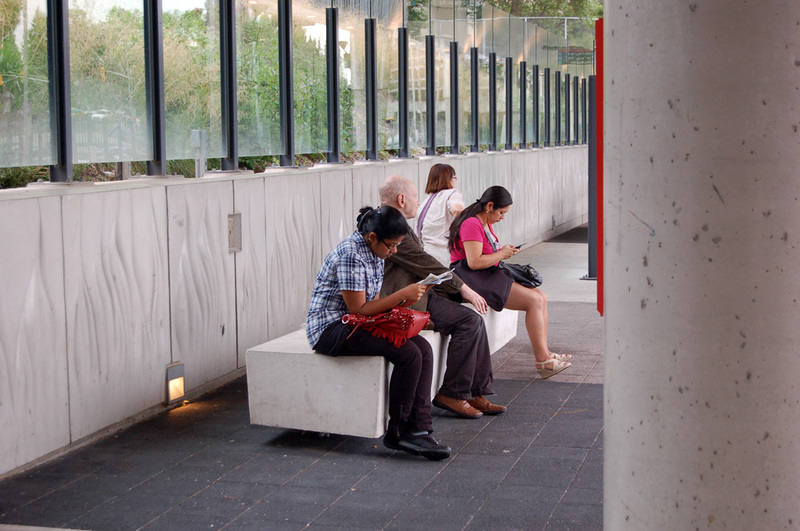 The broad platform provides easy access between the station, adjacent neighbourhoods and important bus routes. The project opened up and added colourful improvements to the elevated pedestrian walkway linking the station and Victoria Park Avenue to the Teesdale Apartments. People on the walkway now enjoy views to Dentonia Golf Course and the Taylor-Massey Creek valley as well as into the station’s elevated subway platforms, where windows and natural light were added. 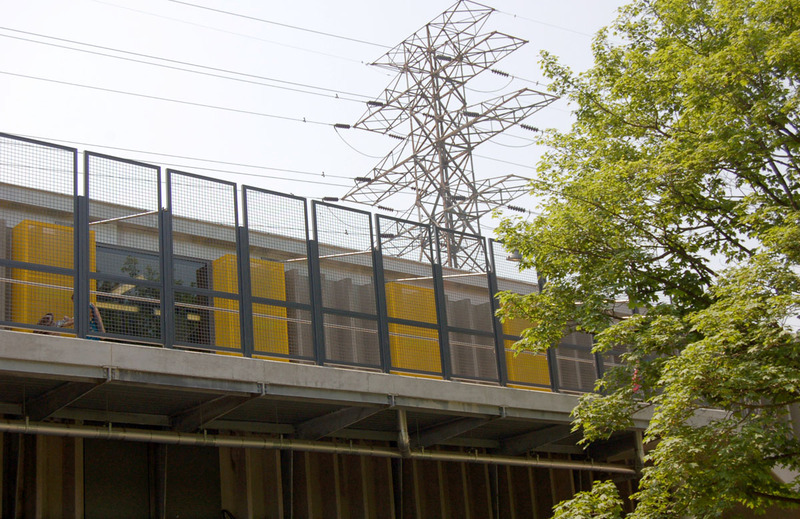 Interior upgrades were made to the pedestrian bridge linking Victoria Park station to Crescent Town to the west, including new windows.